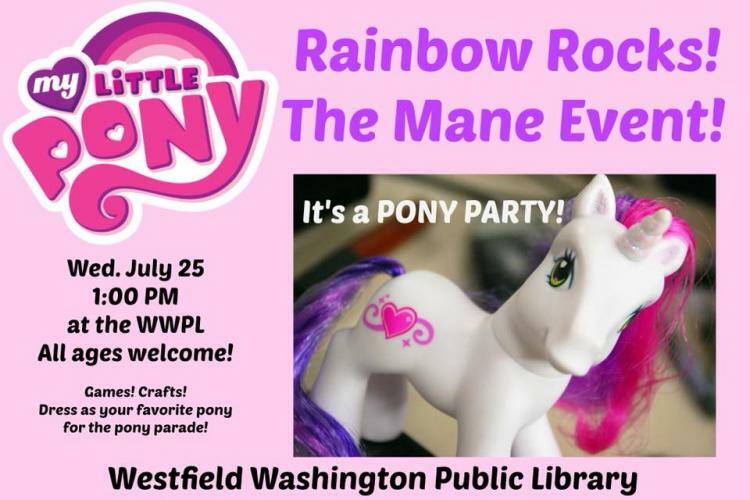 Join us for games, crafts and pony fun! Come dressed as your favorite pony for the Pony Parade! All ages welcome! Free. Please contact the library directly for more details.